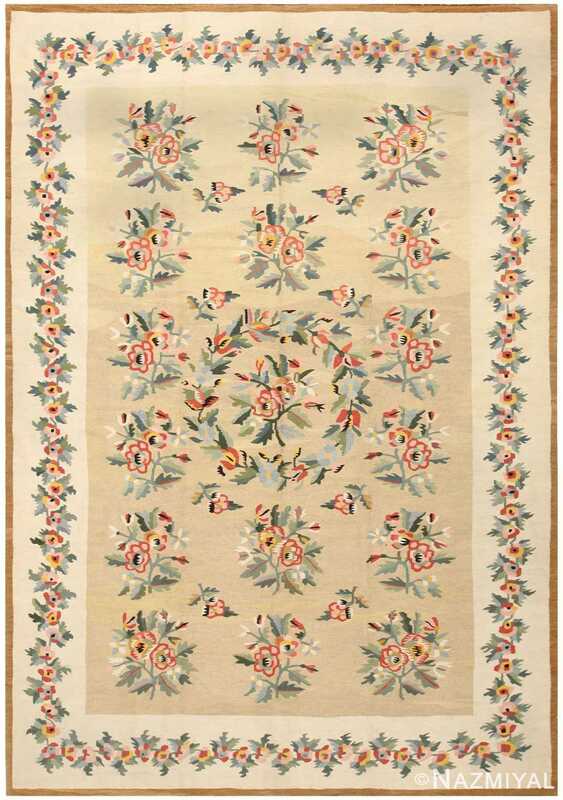 Woven in the early 20th century, this ornate antique Bessarabian Kilim features an archetypal series of lush floral bouquets that have tremendous decorative appeal. 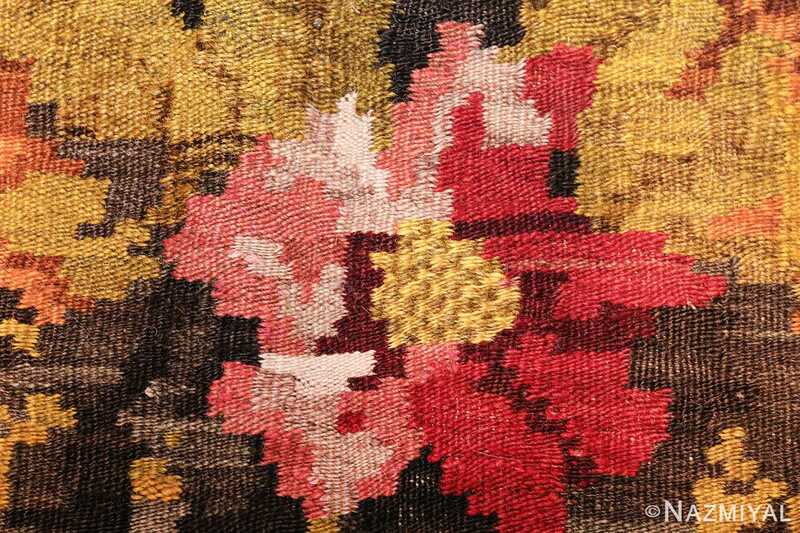 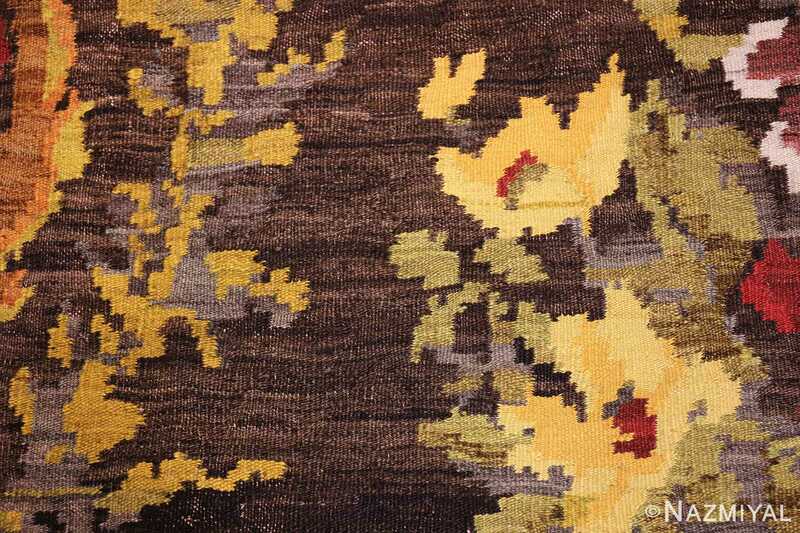 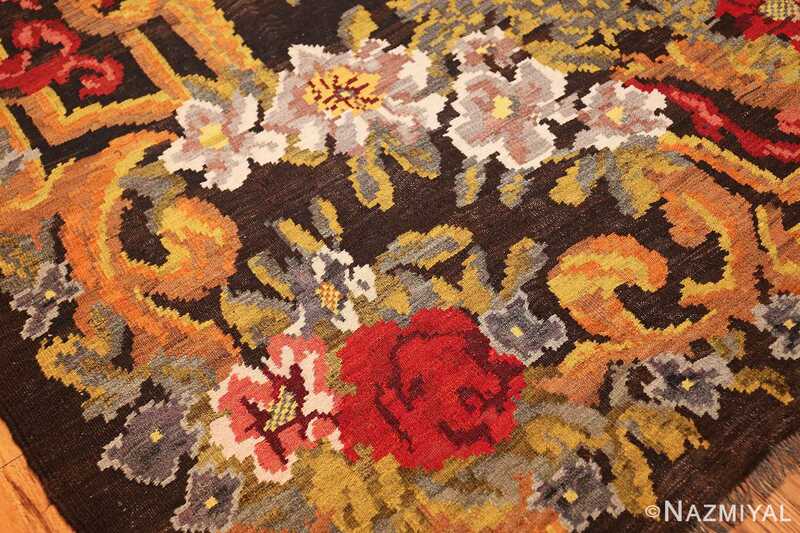 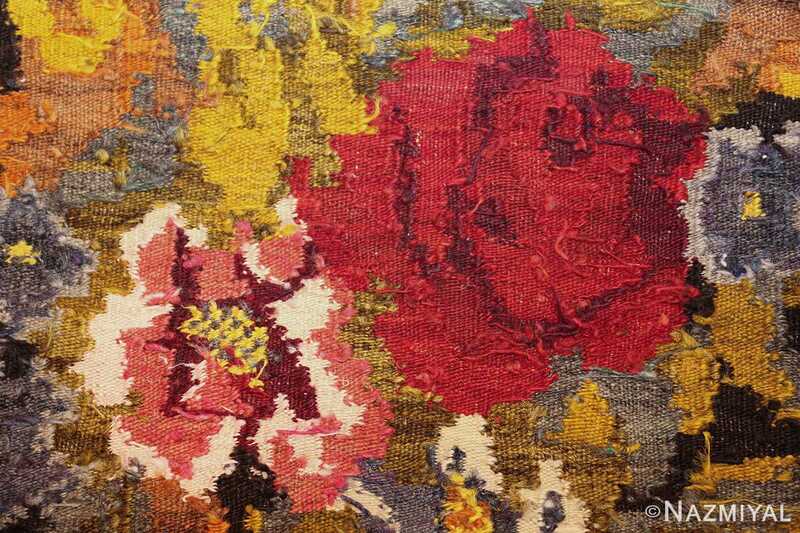 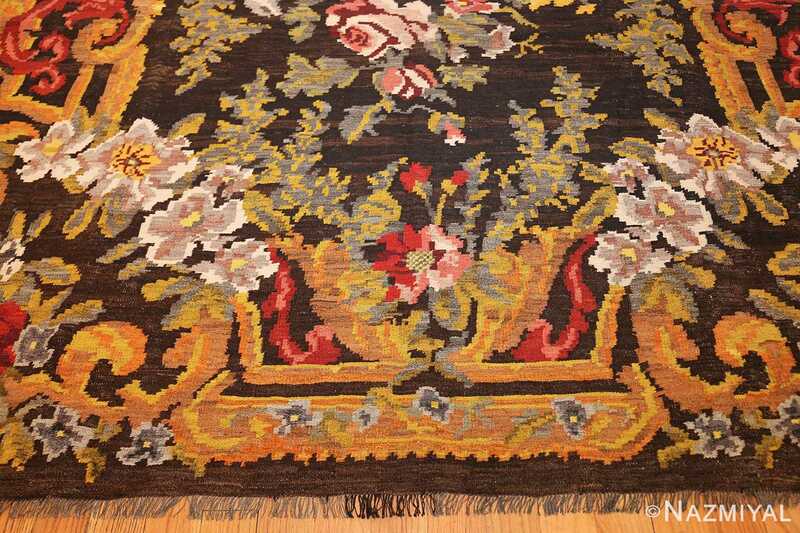 Antique Bessarabian Kilim, Origin: Romania, Circa: Early 20th Century – This dramatic antique Bessarabian kilim depicts a lavish millefleur bouquet with beautifully shaded blossoms and subtly colored foliage that is set over an inky black field. 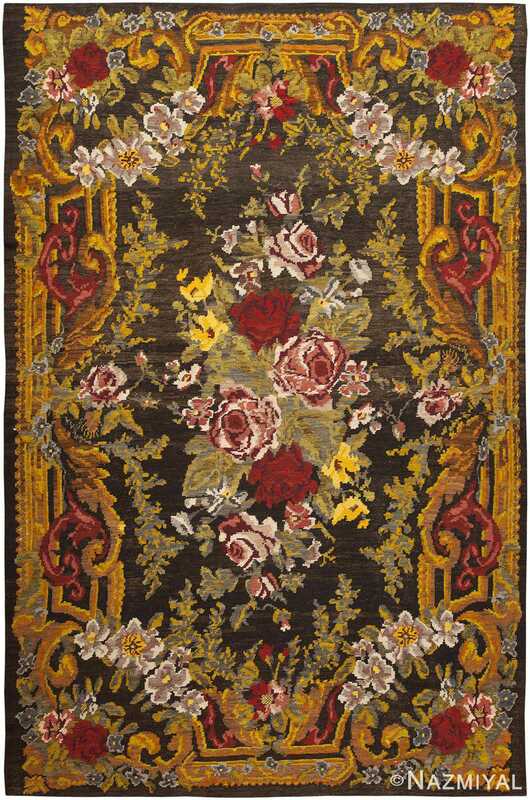 The formal bouquet is surrounded by a gilded architectural frame adorned with feathery acanthus leaves and decorative fleurons. 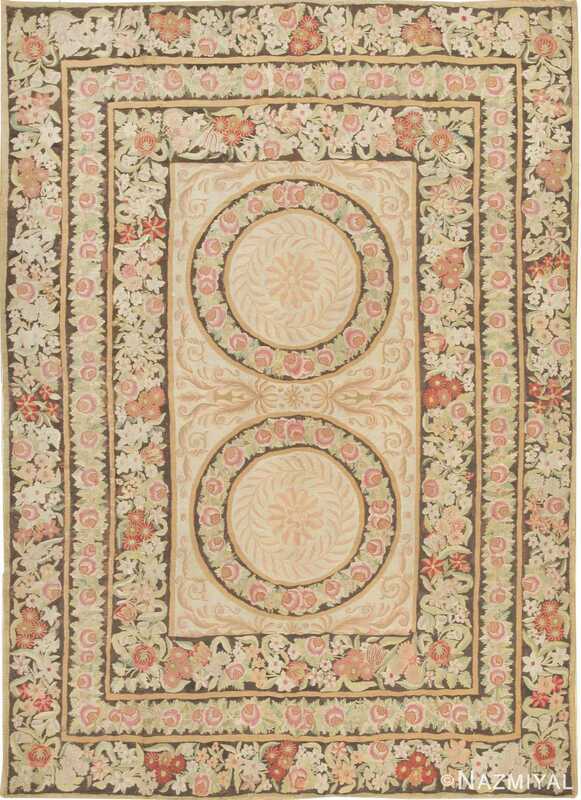 Trailing garlands and delicate floral chains embellish the formal borders and fill the notched coves that complete the decorative composition. 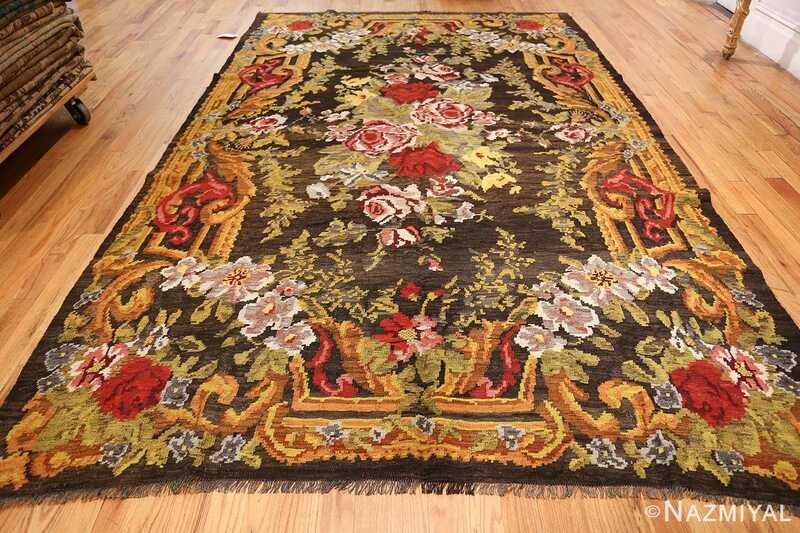 This antique Bessarabian Kilim is a stunning example of the ornate European designs that fascinated Romania. 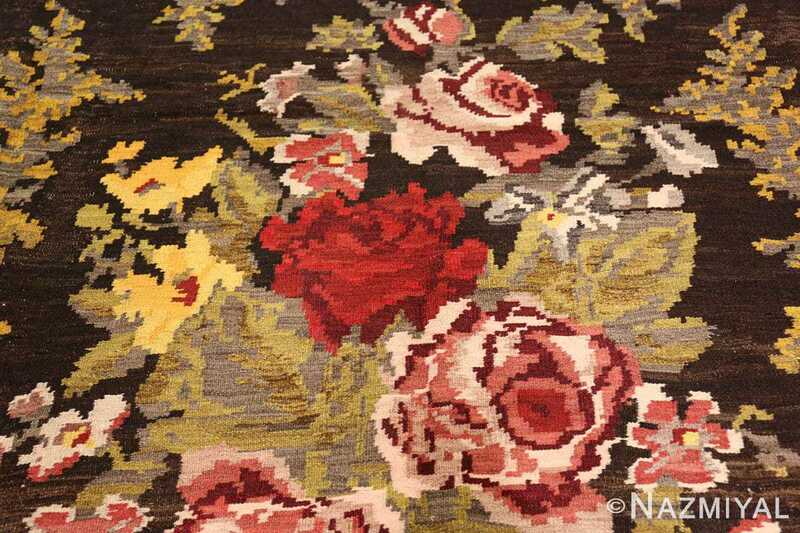 The lush floral bouquets, robust colors and exquisite shading epitomize the fantastical European style that Bessarabian rugs are prized for. 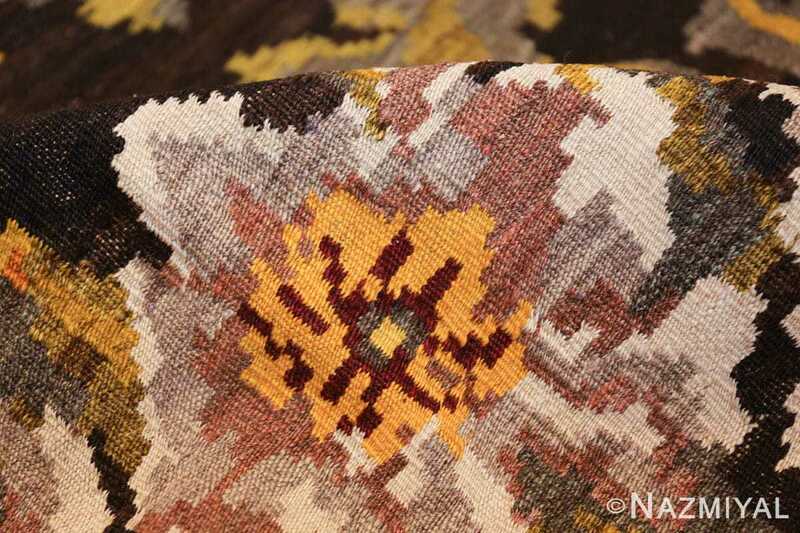 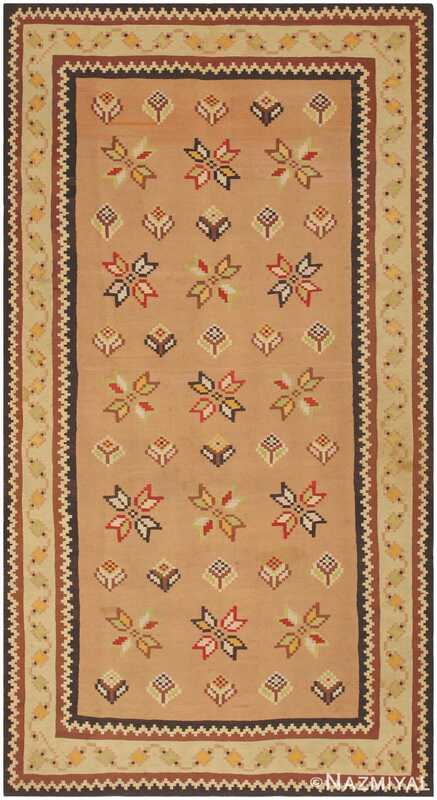 Styled according to Romanian ideals, this antique Bessarabian kilim depicts a charming pattern of whimsical florets and stars based on traditional weaving devices. 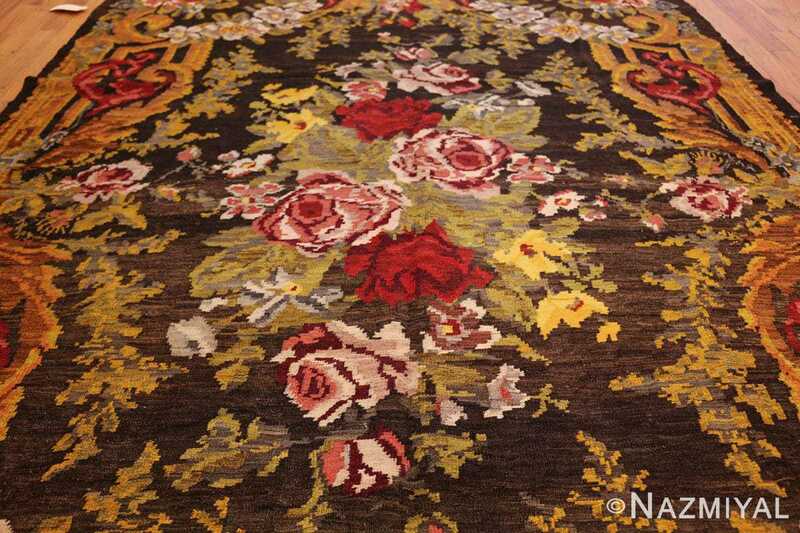 Woven with a formal neoclassical composition, this charming Bessarabian carpet combines formal architectural elements and gentle floral borders to create a harmonious blend of sophisticated and casual elements.